Sea Buckthorn is known as the “Holy fruit of the Himalayas” and is much cherished by the Tibetans due to its immense benefits. This herbal medicine has been used in Asia, particularly in the Himalayan region. Countless studies have been carried out on this herb to ascertain its properties, and no doubt it has been proved to be a herb of much value in treating various health problems including managing weight. Historically, herbs have also been used to treat people. These herbs contain medicinal properties, and even today many people use this herbal medicine for treating their health disorders. Sea buckthorn contains a wealth of essential and important nutrients. Vitamins A, B1, B2, K, E and ten times the Vitamin C of oranges, along with other bioactive nutrients such as fats and antioxidants support a healthy immune system. Historically, sea buckthorn has been used to support healthy skin, hair and nails. Its vitamin dense berries provide the body with many essential nutrients but it’s the perfect Omega fat ratio within the berries that makes them one of the world’s original cosmetics. Complete with Omegas -3, -6, -9 and -7, these healthy fats nourish and moisturize the skin and other tissues. 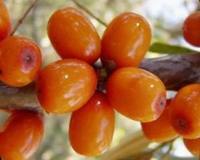 Read more about sea buckthorn for hair, skin and nails here. Sea Buckthorn contains a range of powerful antioxidants such as polyphenols and carotenoids, which help neutralize free radicals in the body. The vivid orange to red pigmentation of sea buckthorn berries is attributed to high levels of carotenoids, which also make sea buckthorn very healthy for the eyes. Learn about sea buckthorn for vision support. And if all that isn’t good enough, Sea Buckthorn has another amazing benefit. This oil has shown very promising weight loss benefits that were previously unknown. Scientists believe the Sea Buckthorn Oil sends a signal to the brain to stop storing fat, and prevents the absorption of excess calories into the fat tissues. This oil has been endorsed as one of the most effective weight loss supplements on the market today. It’s said that this remarkable weight loss berry packed with essential omega-7 fatty acids helps you stay slim by signaling the body to stop storing excess fat and activate the burning of fat. The potential health benefits of Sea Buckthorn have long been studied. One study examined the role of powdered sea buckthorn leaf tea in high-fat diet-induced obese mice. The mice were fed two different doses of sea buckthorn leaf tea for six weeks. 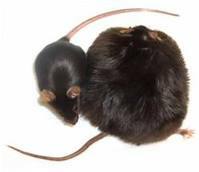 Sea buckthorn leaf tea supposedly suppressed body weight gain in a dose-dependent manner and significantly reduced visceral fat, plasma levels of leptin, triglyceride and total cholesterol compared with the high-fat-fed control mice. From these results, scientists indicated that sea buckthorn leaf tea has potential anti-visceral obesity and antioxidant effects mediated by the regulation of lipid and antioxidant metabolism in high-fat diet-induced obese mice. Sea Buckthorn’s achievements are certainly impressive, but perhaps the most notable aspect of the super fruit is that the famous Doctor Oz personally recommends it for weight loss. More than being a great way to shed off the pounds, it gives users a wide variety of added health benefits that may help it become the most popular weight loss supplement available on the market today. Read about Dr. Oz’s sea buckthorn recommendation for weight loss. Anti-visceral obesity and antioxidant effects of powdered sea buckthorn (Hippophae rhamnoides L.) leaf tea in diet-induced obese mice. Lee HI, Kim MS, Lee KM, Park SK, Seo KI, Kim HJ, Kim MJ, Choi MS, Lee MK. Department of Food and Nutrition, Sunchon National University, Suncheon 540-742, Republic of Korea. ← Is Sea Buckthorn Oil the All-Natural Psoriasis Remedy You’ve Been Waiting For? I took sea buckthorn for 3 months after the Dr. Oz show last year and thought it really helped my skin, hair, nails, and overall beauty. However, I didn’t see much in the way of weight loss. Granted I didn’t change my diet or exercise habits … just added sea buckthorn oil to my diet as a supplement. Cant swallow pills so where can I get buckthorn oil from so I can take it orally.